Burger King, one of the recent arrivals, cheekily built right across McDonald's. Years back, if one felt the pangs of hunger, one followed the aroma wafting around the household back to the kitchen to discover whatever delicious recipe mother was cooking. If it was close to meal time, perhaps she had a pot of sinaing na tulingan simmering until the fish was almost tender enough to melt inside one’s mouth. If it was between meals, perhaps mother was stirring dinuguan in the wok to go with puto she had purchased earlier in the morning at the market. Other days, perhaps she had a pot of ginataan or maybe even champorado to go with the hawot that she was waiting to fry. When mother was feeling particularly lazy some afternoons, she could just send you on a short errand to the neighbourhood bakery for a paper bag of kalihim or pan de coco; or perhaps those large dabyana loaves of bread and a bottle of sandwich spread or peanut butter. If your mother was not home or if you were out with a group of friends, there was always the option of a quick trip to the nearest panciteria for a bowl of steaming lomi or a plate of guisado. There was also the alternative option of a visit to the gotohan or the public market where the kakanin section had a glut of choices from the puto kutsintâ to the buchi-buchi to the tamales Lipa, known elsewhere as the suman sa lihiya. These days, of course, mother is likely to be at work as father is, too; and will probably not have time most afternoons to cook a pot of ginataan. While the lomihan and the gotohan will continue to be as ubiquitous in this lovely city of ours as they have always been, these days they compete with both local and international food brands who have come to set up shop. Not too far back, the opening of Brownies along the main avenue of the poblacion was something of a minor sensation, as it gave young people with money to spare an alternative place to hang out apart from Mama Bear’s and Narkabowl. Of course, Brownies seemed to have an aversion to the big players and packed up its bags and went somewhere else as soon as two of the biggest ones hit the ground. The first of these was McDonald’s, arguably the first of the huge brands to see the market potential of this hitherto laid back city which did not really even seem to have a dine-out culture at the time. Naturally, where Ronald McDonald went, so did a pesky yellow-and-red striped bee if just to show the market that for every Big Mac, there is a matching Amazing Aloha and not even in an alternative universe. Between them, McDonald’s and Jollibee lorded it over the city for a while even though Chow King, Kenny Roger’s Roasters, Shakey’s and Max’s came to offer a bit of variety. Ditto Racks, whose ribs were divine but whose upscale pricing was probably a decade ahead of its time as far as Lipa City was concerned. The game changer, of course, was the arrival of the malls and their obligatory food chains. These days inside the malls, local brands compete side by side against each other and against international brands. Bon Chon Chicken is just one of the international brands inside the malls. Mall-goers can choose from Pizza Hut, Gilligan’s, Dencio’s, Mang Inasal, Goldilocks, Flavours of China, Tokyo Tokyo or Reyes Barbecue. 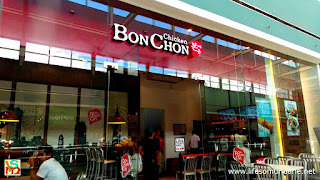 Also present are Bon Chon Chicken, Adobo Connection, Greenwich, Cabalen, Razon’s Restaurant, Yellow Cab, Gerry’s Grill, Classic Savory and many others. Some new arrivals, however, have chosen to build their own stores outside the malls. Army and Navy Burger + Burrito and Pancake House both chose to locate along Ayala Highway. Tornado Peri Peri Chicken recently opened at the Courtyard of the Big Ben Complex. 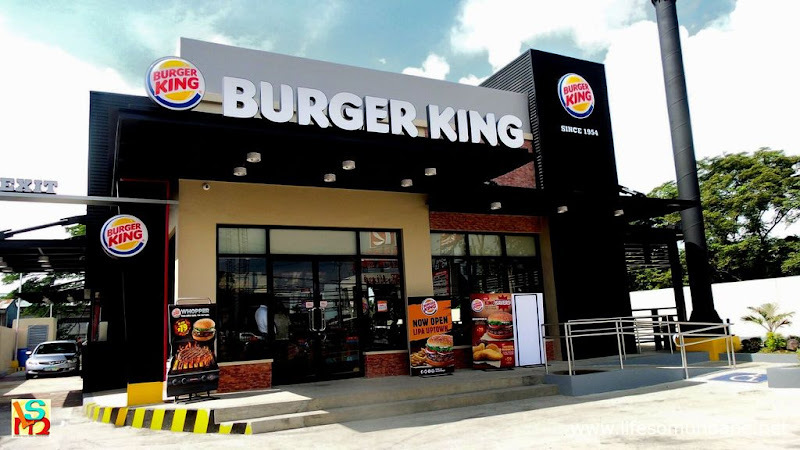 Burger King, of all places, chose to cheekily build right across McDonald’s first restaurant in the city. Far from considering the market saturated, the original two big players are building more stores and in communities where erstwhile one would not have thought this possible. Jollibee has been in Tambô for a while now capitalising on the transient market. This time, it is Ronald McDonald who has followed the bee with a new McDonald’s under construction shouting distance from the Jollibee store. Surprisingly, in a city which did not until recently have a real restaurant culture and where lomi and goto were kings because of the locals’ value for money philosophy, even fine dining privately owned restaurants like Casa Marikit and Uncle Cheffy’s continue to thrive. 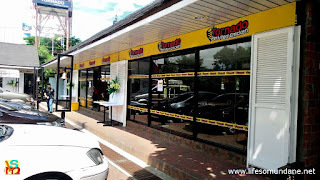 Tornado Peri Peri Chicken located at the Courtyard of the Big Ben Complex. For a city that used to pride itself on home brewed Batangas coffee, there is perhaps a bit of irony that Starbucks, Figaro and The Coffee Bean have all been welcomed with open arms. Who would have thought all these possible just two decades ago, when most food joints were not even open at night simply because locals preferred to dine at home with the family. Two decades hence and Lipa is, of course, not the same city. The population has been inflated by immigrants attracted by burgeoning business opportunities. Income structures have changed in most cases for the better and there is a tad more money left over for a bit of sophistication and maybe even frivolity. If an endless stream of banks continues to arrive ensuring that locals have plenty of options to stash away extra liquidity for safekeeping, so too does a steady stream of food businesses determined to tempt locals into doing exactly the opposite. Yet, in spite of all these, the lomihans, the gotohans and the itty-bitty carinderias continue to exist. This is proof, perhaps, that while the modern Lipeño is prepared to enjoy the variety that invariably comes with economic growth, he stays true to his Batangueño character and is just as wont to enjoy honey-glazed chicken at Bonchon as a bowl of steaming lomi or goto in a sleazy little joint somewhere. I just need to end this article with one nagging question: Subway where are you?